The grapes we use to make Longplay Wine don’t just put themselves in the bottle. It takes many hours of hard work to get from bud-break to bottle. Although Todd wears the accounting, marketing, compliance, purchasing, strategic planning and webmaster hats for this venture, he thinks of himself as a farmer first. He knows that work in the vineyard shows up in the bottle – decisions on dropping fruit, pulling just the right amount of leaves to allow sunlight to help ripen the clusters, and when to pick all affect the final product. 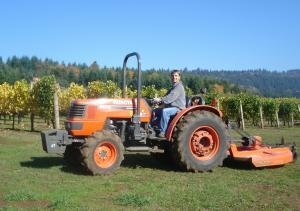 Although most of his days in the vineyard are spent performing the endless handwork it takes to craft top quality pinot noir, Todd especially enjoys getting on his tractor to mow or haul compost. He can confirm that almost every day in the vineyard is a great day. The rhythm and pace of the growing season are what keep the job interesting. 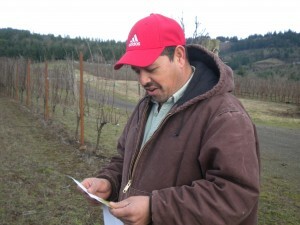 We rely on our talented vineyard manager, Javier Marin, owner of JM Vinegrower LLC, to help us grow outstanding fruit. Javier has more than 20 years experience in viticulture in the Willamette Valley and was previously vineyard manger at the highly regarded Shea Vineyard in the Yamhill-Carlton District. Javier’s experience and meticulous attention to detail mean that the vines produce the best fruit possible. Javier loves growing grapes and his team is top-notch. Javier began managing our vineyard with the 2010 growing season. 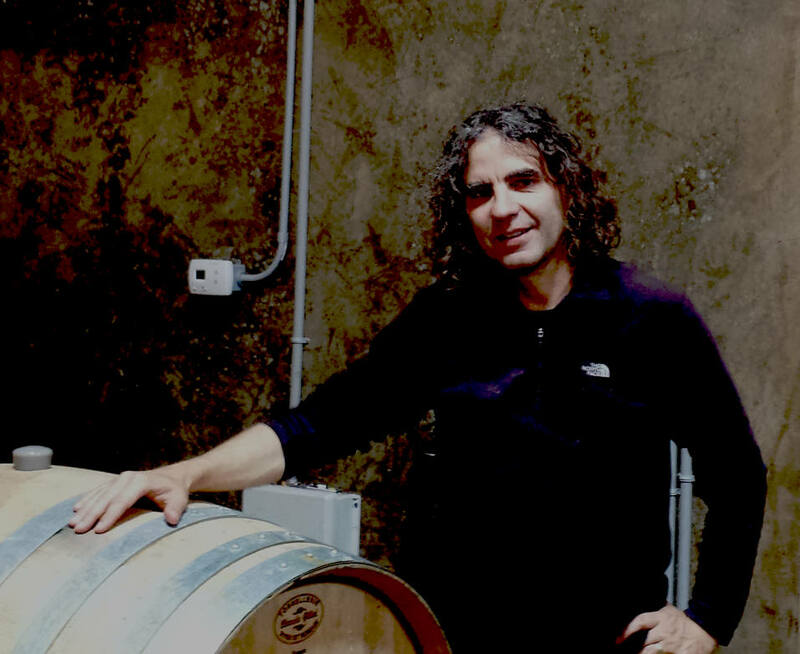 Beginning in 2011, and hopefully for many vintages to come, our wines are being made at J. Christopher’s fabulous new winery (which is only a few hundred yards from our vineyard) under the steady hand of Jay Somers – a very talented winemaker. Jay has used fruit from Lia’s Vineyard since 2009 and is now the most significant buyer of our fruit. Additionally, he has planted some vines – Appassionata Vineyard – around his winery, so he has come to know a lot about our slope on the Chehalem Mountains. We consider ourselves very lucky to have begun this relationship and our respect for Jay is boundless. He really helps a wine find its soul. Jay very deliberately engages us in the decision making process when shepherding Longplay Wine through fermentation and elevage. While he doesn’t always agree with our choices, after a bit of discussion he respects our decisions – or changes our mind. Accordingly, Longplay Wine is unique, for better or worse, not a bottle of J. Christopher wine with a different label. We learn a lot from Jay every time we are in the cellar – and the more we learn from him, the more our esteem for him grows. 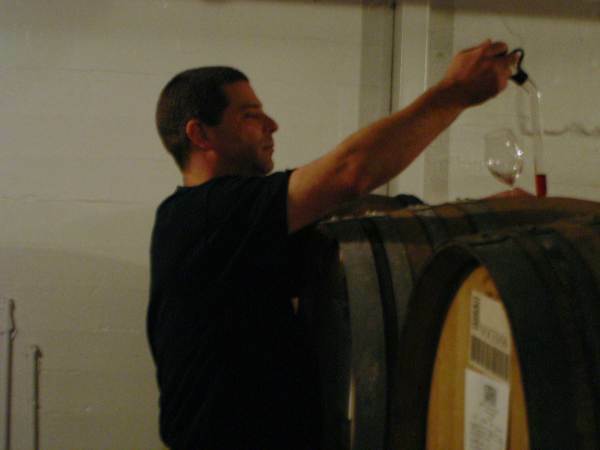 When we bought our vineyard from Rex Hill in 2005, we called Aron Hess to ask him what he thought about the idea. He liked the spot, and we liked Aron – the conversation was memorable. We then discovered Aron’s Daedalus Cellars wines and became customers and friends. When it was time to make our own label, we invited Aron to lunch and he agreed to make our wines. He knew the site, having been the winemaker at Rex Hill for several years, and he shared our limited-intervention winemaking philosophy. In 2011 we switched to new a winemaking facility and changed winemakers, but remained friends with Aron and saw him regularly. Every encounter with Aron was stimulating, and he was an incredibly talented winemaker. Sadly, Aron passed away unexpectedly on January 15, 2013. We miss him, and are grateful to have known him well. While Lia’s experience with wine is necessarily limited, she is a big fan of Longplay, and she listens to LPs regularly. (She currently is on a Beatles kick.) 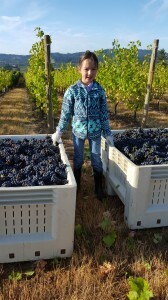 Lia loves going to the vineyard, especially when the grapes or the blackberries along the fence are ripe. But she doesn’t just eat the fruit, she is a good worker with exceptional agility. Her lack of physical stature can make certain tasks challenging, but an inverted five gallon pail usually does the trick. 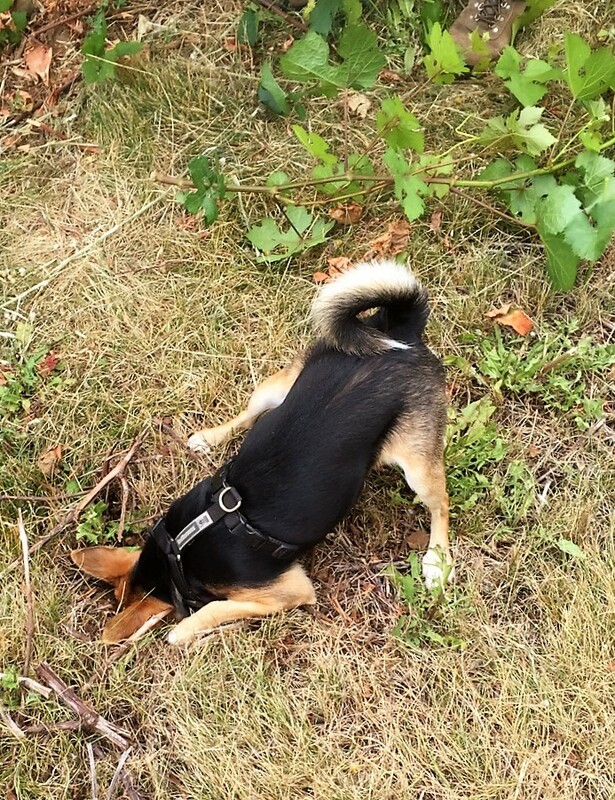 Lia loves wildlife, and is fascinated by the hawks, falcons, owls and vultures that frequent our site. She also enjoys playing with frogs and praying mantes. 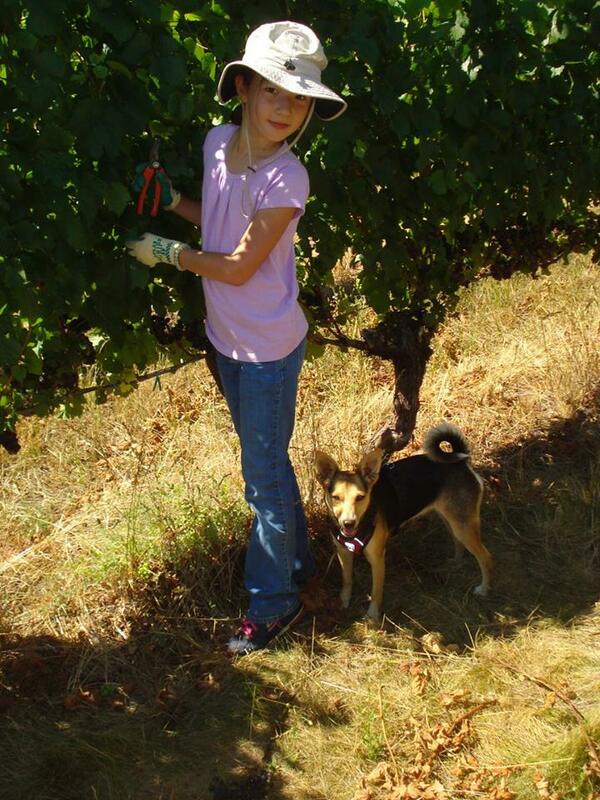 We pretty much named the vineyard after her the day she was born. After all, Lia was the reason we put down roots after ten years living out of suitcases. While she’s technically not a human, don’t tell Pixie she doesn’t belong on the “People” page. A recent addition to our team, her role in this adventure is already significant. Her boundless energy and enthusiasm are inspirational. She likes to get dirty, a prerequisite for vineyard work, and she views it as her responsibility to inspect our work and insure that we don’t cut any corners. She cheerfully helps scare away the deer and sticks her nose in every vole, mole and gopher hole she finds. A tireless digger, she is responsible for numerous craters which we regard as miniature soil test pits without the expense or greenhouse gas emissions of a backhoe. We welcome her as the newest member of our team, and hope you will respond affectionately if she happens to greet you with demands for attention upon your arrival.